If you have been injured as the result of another party’s negligence, you may be entitled to monetary damages by filing a personal injury lawsuit. You may be unable to work due to your injuries, and you may have no idea what to do next. You don’t have to deal with this situation alone. A personal injury lawyer can examine your case and guide you through the claims process. With a professional by your side, you can obtain the best outcome possible in your case. Call Fielding Law Group today for more information about how we can help you. It can be difficult to navigate a car accident claim. However, a personal injury lawyer can help you from start to finish. You may need to talk to other parties, negotiate with insurance companies, and file legal documents. Fielding Law Group can help. Because of their immense size and the speed at which they travel, large commercial trucks can cause devastation when they are in accidents. If you were involved in a truck accident, contact a personal injury lawyer right away. Cyclists and pedestrians have very little protection, so when they have an accident with a motor vehicle, they often sustain catastrophic injuries. Insurance companies may try to deny these claims, so it’s important to call a personal injury lawyer as soon as possible. Motorcycle riders are extremely vulnerable to crashes, with very little protection. Insurance companies often try to place blame on the motorcycle rider. It’s important to work with a personal injury lawyer to protect yourself after an accident. When you buy a product, you expect it to work as advertised and in a safe manner. However, defective and dangerous products cause serious injuries and even deaths every year. If you were attacked by an animal, you may not be sure about who is to blame. The dog’s owner or caregiver should have been in control of their pet. If they weren’t, and the dog or other animal bite you, then you may be able to obtain compensation. You expect doctors, nurses, pharmacists, and other medical providers to uphold a certain standard of care. If they do not, then they may be liable for injuries that are caused by their negligence. Property owners and managers owe a duty to visitors to maintain their property in a safe manner. If you were injured on someone else’s property, then the property owner or manager may be legally liable for injuries that you receive on their property. Wet, slippery, and dangerous surfaces can be extremely dangerous. Slip, trip, and fall accidents can occur anywhere, and may result in severe injuries. Contact a personal injury lawyer to find out who may be liable for your injuries. If you were injured on the job, you may be worried about your employment status. Although workers’ compensation may cover some of your losses, a third party claim can help you cover the damages that are left. If your loved one passed away due to the negligence or recklessness of another person, then you deserve to obtain compensation to cover your losses. You can work with a personal injury lawyer who will guide you through a wrongful death claim so that you can focus on mourning your loved one. An attorney knows what your claim is worth. Most people don’t understand just how much they can get for their personal injury claims, but a personal injury lawyer has the experience to help you get a higher settlement. 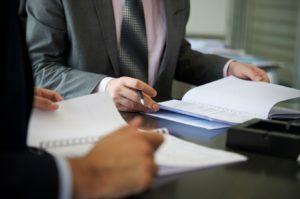 A personal injury attorney understands the legal process. An experienced attorney knows the legal process involved in mediating or litigating your claim, including statutes of limitations, legal documents to file, and court proceedings. An attorney will improve your odds of winning your lawsuit. It can be difficult to go against an insurance company on your own, as they will have more bargaining power and knowledge about the legal process than you do. They will use your unfamiliarity with the system against you, but a skilled personal injury attorney can improve your chances of obtaining a substantial settlement. If it can be shown that the other person’s reckless or careless behaviors caused your accident, you will have the right to compensation. At Fielding Law Group, we can help by negotiating with the insurance company to pursue an out-of-court settlement. If necessary, we’ll take your case to trial to recover the amount that you deserve. The types of compensation you can obtain depend on the exact circumstances of your incident. It’s best to speak with a personal injury lawyer who can evaluate your claim and help you understand your rights to compensation. 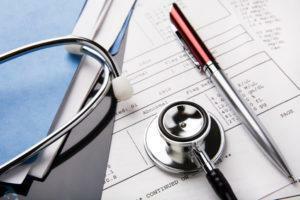 Most personal injury claims involve negligence. A person may be negligent if they act in a way that is not criminal, but is still harmful to others. Every person has a duty to uphold a certain standard of care in all everyday activities, from driving to caring for animals. If a person does not exercise that standard of care, then they may be negligent. If a person is found to be negligent either by acting or failing to act in a reasonable manner, then they may be liable for injuries they cause. Being liable means that they are responsible for any costs, or losses, that the victim of their negligence. You may obtain compensation from someone who was negligent and is liable. No matter mild your injuries, you should see a doctor. You may seek emergency medical treatment. If you do not, you should still follow up with your primary care doctor as soon as possible. You should always follow your doctor’s recommendations and go to ongoing appointments, when necessary. Insurance companies will likely contact you after an accident. Those companies will attempt to relieve their insured from liability and settle claims for as little as possible. They may engage in questionable tactics to get rid of your claim. After an accident, you will also likely have to manage a property damage claim. You may have to seek repairs for your car, phone, and more. It is usually possible to obtain a quick recovery from the insurance company for property damage. If the insurance company does not make you a fair offer, then you may have to go to trial with a personal injury lawsuit. 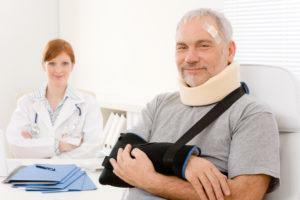 You should work with a personal injury lawyer to help you through this process. At Fielding Law Group, we want your focus to be on getting better while we work diligently on your case on your behalf. We’ll investigate your injuries and accident while listening closely as you explain your concerns so that we can get you the compensation that you deserve.